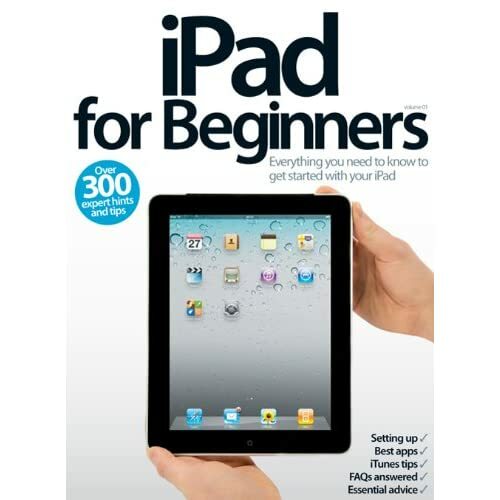 Imagine Publishing has just announced the release of iPad for Beginners, its comprehensive guide to the iPad. This book is a collection of hundreds of advice, instructions, short-cuts, and other useful tips for the iPad. You can find it on Amazon.co.uk for £5.81. Now that you’re done snickering at the title, let me add that it wasn’t a bad idea to release this on the Kindle. As a rule, you should never store your manuals for a device on the device itself; always keep tools separate from projects, I say. Offering this title for the Kindle means that someone can read it on their computer while applying its suggestions to the iPad sitting next to them. And this isn’t even the first iPad guide in the Kindle Store; a cursory check found 30 titles.